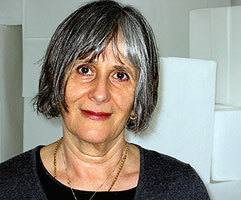 Babs Kirby is a writer, lecturer, astrologer and workshop leader. She has 30 years experience as an integrative psychotherapist and retired from her private practice in 2011. Babs has run workshops combining astrology and humanistic psychology extensively within the UK and abroad and lectured at numerous international conferences. The lectures and workshops outlined below can be tailored to the specific needs of a group or organisation. This talk will look at the way our natal charts are expressed over the various stages and ages in life, from the potential shown for a baby to the process of reconciliation to what has been in later life. This talk will discuss the creative impulse or drive and examine the charts, progressions and transits of some notable British artists and ceramicists, exploring how their work expresses their chart and has evolved over the years. Grayson Perry, Tracey Emin and Sutton Taylor will be among those discussed. This talk will look at the path to individuation that we are all on and how being an astrologer affects our journey. Traditionally associated with misfortune, this house has a poor reputation. In my talk I will look at the charts of those with planets in the 12th, some of whom seem to be surviving quite well in public life, with a particular focus on the life and work of the British artist Tracey Emin. In this lecture I explore how complexes come into being and how they develop over time. Jung asserted that 'complexes behave like independent beings' and we will look at how they operate, how they are signified astrologically and at transits to these key planetary configurations. I will discuss how I work with children’s charts, which is always as part of a synastry with the parents. The parents’ chart shows their capacity to understand their child and my aim is to help them give their child space for his or her individuality to grow and develop. This talk will be illustrated with the charts of children and their parents. In this lecture I will talk about the astrology of ambition and will look at some of the traditional significators associated with ambition, explore some of the inner psychological dynamics associated with drive and look at some charts with ambition in mind. Many of us have an ethical code that we adhere to but do these go far enough or are they too limiting? In this talk I will explore various ethical dilemmas that we as astrologers encounter. Once you’re qualified and start seeing clients, it’s not necessarily plain sailing. There are certain pitfalls to avoid along the way as we develop and maintain a practise. In this talk I look at some of the issues the professional astrologer is likely to encounter and the support supervision can provide. In the West, most relationships begin by falling in-love. And yet, with so many relationships failing, it begs the question, what has gone wrong – why do couples fall out of love? In this talk I explore the differences between falling in-love and loving someone, as a separate individual. Venus and Mars, as significators of love and sexuality, play an important part in how we express love and what we need to feel loved. This will be discussed, along with the parental images in the chart. What does the year ahead have in store? The Solar Return Chart is a unique forecasting tool, giving a broad overview of the year ahead, highlighting areas of potential growth. This workshop will offer guidelines on interpretation. We will also look at the fine tuning for the year ahead that Lunar Returns offer and touch on Mercury, Mars and Venus Returns. This is a day in which to explore the multi-various parts, which make up who you are. In this experiential workshop, I use guided imagery to enable you to discover your sub-personalities. Walt Whitman famously said “Do I contradict myself? Very well, then I contradict myself, I am large, I contain multitudes.” These contradictory parts are our sub-personalities, some of which operate in co-operation with each other and some of which operate autonomously and autocratically. We will explore ways to honour the needs of each and every sub-personality and give them astrological significators. Please bring your chart to this workshop. Would you like to understand your love life better? Do you fall in love with seemingly impossible people? Can you make the transition from being in love to a long term fulfilling relationship? Venus and Mars represent the principles of love and sexual attraction and in this workshop we will use an astrological framework to examine some of the ways these principles manifest in relationships. The workshop will be partly theoretical and partly experiential. We will use guided imagery to explore your relationship to these principles and then relate this back to the astrological significators in your birth chart. Please bring your chart along. This can be given as a Lecture or One Day Workshop. If a Workshop it would be limited to 30 people. I would like to introduce this kind of work, which emerges out of my background as a humanistic psychotherapist and an astrologer and is a synthesis of two important strands of my personal development over the last 25 years. This workshop will be both theoretical and experiential. I will discuss experiential astrology, its place in the larger scheme of things and what it has to offer the student and professional astrologer. I will show how I evoke the astrological principles through guided imagery and discuss the advantages both therapeutic and didactic of working in this way. We will finish with a guided imagery journey on the Sun's principle. This journey helps us to get in touch with our spiritual core, our essence and is excellent to do when we need to centre ourselves or when we have an important decision to make. Please bring your chart to this workshop. I have written guided imagery journeys on the planetary principles and can offer a one day workshop on each of the planets. These days are experiential and enable participants to get in touch with how a particular planetary principle operates within them. Please bring your chart to this workshop. Pluto – God of the Underworld – A Guided Imagery Journey to Explore Pluto’s Principle and Discover Our Own Buried Treasure. This is an example of the ten workshops on offer, see above. In this experiential workshop participants will be taken on a guided imagery journey to explore their relationship to Pluto’s principle. Please bring your birth chart to the workshop and be prepared to share it with others, as we will be discussing your journeys in small groups and making astrological links back to your chart. This workshop will be especially helpful to those experiencing Pluto transits as well as those interested in a more direct understanding of aspects in their natal chart to Pluto. This can be a One Day workshop or more – I taught a two year course and can adapt this to whatever is requested. The workshop is limited to 30 participants. Many astrologers find themselves struggling when faced with a client in the consulting room. Knowing ones astrology does not necessarily equip us to deal with some of the dynamics we can encounter. These workshops will teach some basic counselling skills and how to apply them when seeing astrology clients. This is suitable for those who are already practising as astrologers. Much of the workshop will be experiential. Please bring your own charts to this workshop.